Opportunity abounds in the manufacturing industry, with 4.6 million projected job openings nationwide over the next decade. However, according to the 2018 skills gap in manufacturing study by Deloitte, the manufacturing skills gap is expected to grow from about 488,000 jobs open today to as many as 2.4 million manufacturing jobs that will go unfilled by 2028 because there aren’t enough skilled workers. The shortage has a potential economic impact of $2.4 trillion. A large share of Washington’s manufacturing workforce will be ready to retire in the next few years, and there is a real concern that there won’t be enough skilled workers to fill the many job openings that will be available in our state. Teachers like William Murray, a Career & Technical Education instructor at Capital High School in Olympia, are helping teach high school students the skills they’ll need to fill the many job opportunities that will be available. Core Plus Aerospace classes, like the one Murray teaches, offer a hands-on environment where students learn by doing. Students are mostly out their seats, working on projects with classmates. Along with manufacturing skills, students learn responsibility, teamwork, and communication skills that give them a clear advantage on whatever pathway they choose after graduation. According to a recent survey, 75 percent of Washington state parents want more career connected and hands-on learning opportunities, like what is offered in Murray’s Core Plus Aerospace class, for their students. For Nad, the engaging Core Plus Aerospace classroom and exposure to industry professionals was a good fit for how he learned and what he wanted to do after graduation. 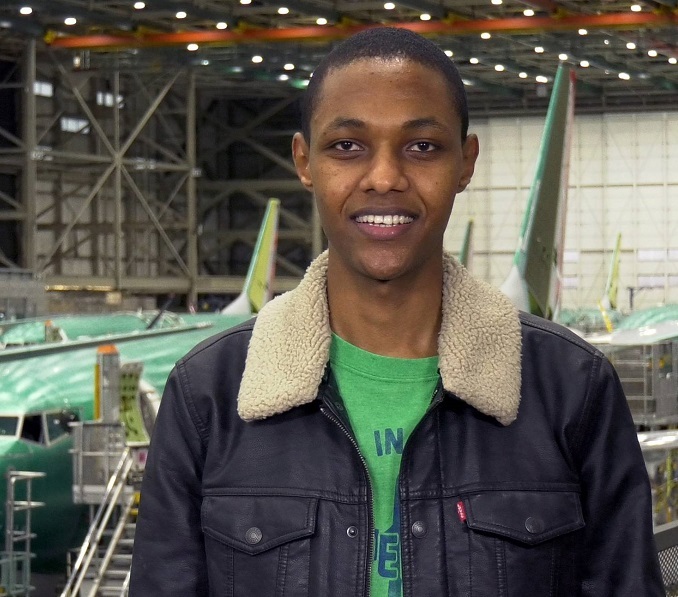 His Core Plus Aerospace experience also connected him to a job after graduation at Boeing. Teachers like Murray and students like Nad are helping shrink the manufacturing skills gap and ensure more students are ready for the many job opportunities that await in Washington state. To learn more about their experience, see a Core Plus Aerospace classroom in action, and hear from other students and teachers, visit our YouTube page. You can also use the location finder tool on this website to find a Core plus Aerospace site near you. If you are an educator who wants to bring Core Plus Aerospace to your community, contact OSPI’s Career & Technical Education team at career@collegeready@k12.wa.us or 360-725-6245.